Fully updated advice on hundreds of critical human resources topics! With changes in the economy, the job market, technology, and the law, human resources professionals and department managers alike are facing new challenges. 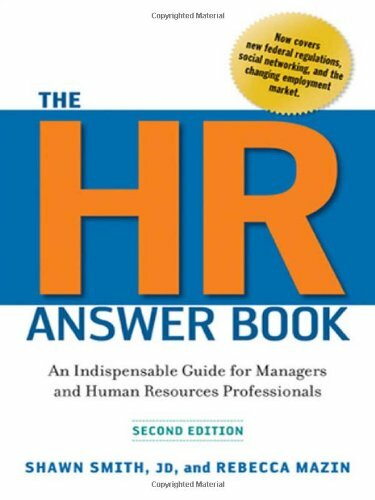 Luckily, the second edition of The HR Answer Book covers these developments and addresses more than 200 questions that every employer needs to deal with, from recruiting and hiring to discipline and downsizing, compensation and benefits to training and employee relations. The new edition contains revised and expanded sections on FMLA, health insurance changes, and compensation laws, as well as information on salary reductions and using social networking to recruit employees. It is also packed with ready-to-use tools and checklists.